Early on in the 1900s, children didn’t have many outings, but tended to go to local places that were easily accessed. The Library School children went to Grazeley in 1906 as the school treat. The Band of Hope had an outing in 1903 to Oxford when the whole school closed. 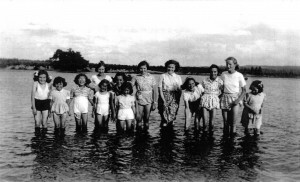 According to Rita Goodall who was a teacher from 1985 to 2000 and wrote a piece in our Lambs Lane History, one summer’s day, in 1978, the juniors were invited as part of ‘rent-a-crowd’ to welcome Prince Charles to Wellington Country Park. He visited to open the Dairy Museum. After lining the route, the children were free to wander the Park. One group were speechless when Prince Charles came over to speak to them when he saw them in the woods. Between 1920 and 1939, there were many school outings and the children once went to Bognor, in 1930, by motors which were probably charabancs. In the 1950s, coaches belonging to Smith’s took the children to places like Hayling Island, Southsea, or Brighton and sometimes to London. In 1958, one class went to Portsmouth Dockyard to look over The Victory. Some lucky children were taken to the Palace Theatre in Oxford to watch a ballet. 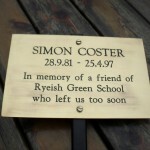 Ryeish Green School also had outings to London and they were taken to and from Reading Station by wagons and carts where there were two compartments reserved for them by the Great Western Railway. Their exhausting trip took in Charing Cross, Trafalgar Square, Whitehall, Houses of Parliament, Westminster Abbey, Hall and Bridge, Science Museum, Embankment, Colonial Institute, Albert Museum and back to Paddington. 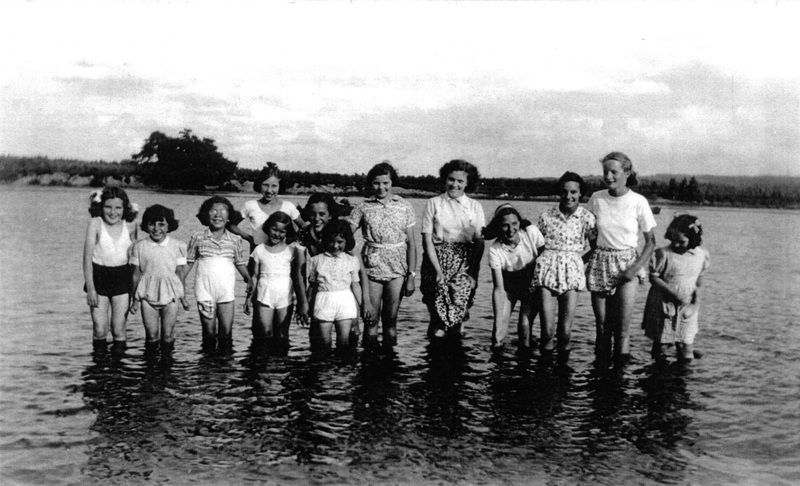 In Our Village of Spencers Wood, Elaine Stobo recalls a Sunday School outing to Frensham Ponds in around 1952, for a picnic. 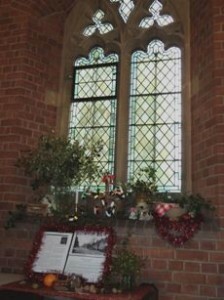 Rev Lewarne was the vicar who accompanied them. There was panic on congregating to return home the only person missing was Rev Lewarne. Nobody knew where he was and one coach load of children returned alone with the younger children on board. Mr Lewarne eventually turned up an hour late. Marion Pyke said that the water was orange, probably from some iron content and that the children’s legs were stained with it. Marion suspects that the public is not allowed into the water these days. Notice from the photo that the girls tucked their dresses into their knickers as they were apt to do in those days! Margaret Bampton. The above was taken from our history books. 2014 Events – Where will we be? June 28th – Lambs Lane Summer Fete – Back Lane – buy the History of Lambs Lane book! Buy a Three Mile Cross Chapel Book at £5 only! 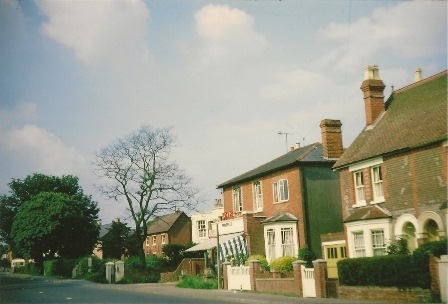 or just come and share your memories about living in Spencers Wood for our New Village book! Come along & view the Junior Historians Box for all you young Enthusiasts! 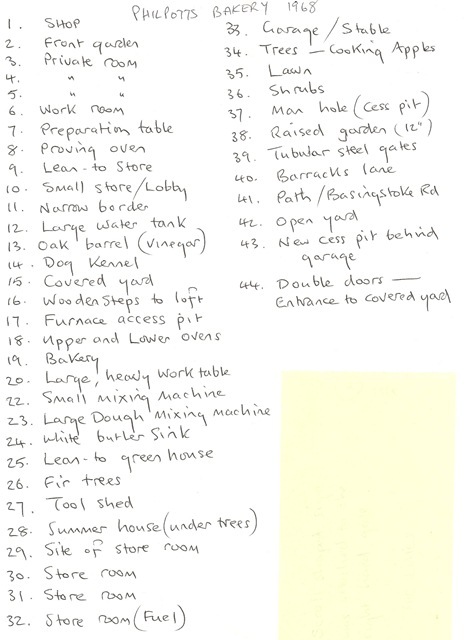 We will also be discussing the current project – The New Village Book which is still under research. We are always to hear memories from anyone who’s lived locally! 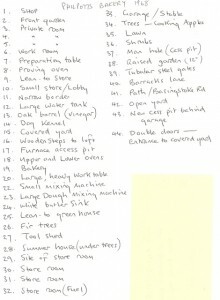 No matter how trivial they seem to you, we want to record them – especially with the way the village heart is changing. Please come & share your recollections. 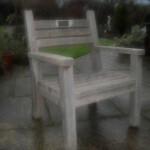 Let’s hope the sun is shining! Summer 2013 Events – where will we be? 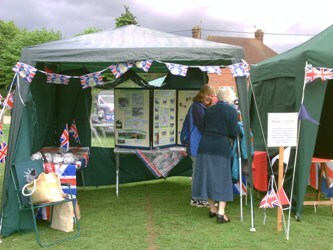 This Summer Events The Spencers Wood Local History Group will be at the following Events during this summer:- July 20th – St Michael’s & All Angels Church Fete – Basingstoke Road, Spencers Wood August SUNDAY 25TH ONLY – Swallowfield Show – Come & see our Display alongside the Swallowfield History Group – Buy a Three Mile Cross Chapel Book at £5 only! or just come and share your memories about living in Spencers Wood for our New Village book! 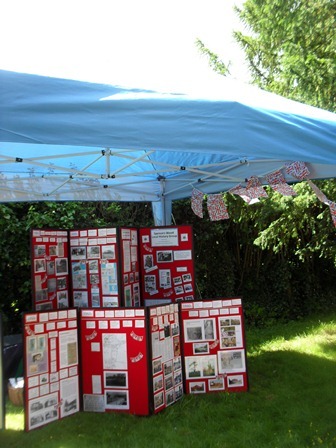 September 21st – Spencers Wood Carnival – Recreation Ground, Clares Green Road, Spencers Wood We have a Junior Historians Box for all you young Enthusiasts! 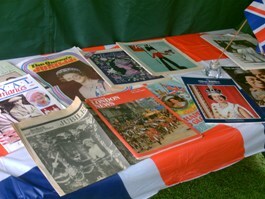 On sale will be the following books, as well as greetings card from the local area. 1. 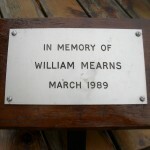 A History of Three Mile Cross Methodist Church – “The little Village Chapel in the Meadow” 2. 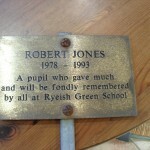 Celebrating the Centenary of Ryeish Green School 3. 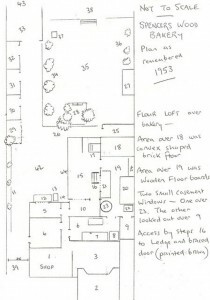 The History of Lambs Lane School – 1908- 2008 We will also be discussing the current project – The New Village Book which is still under research. 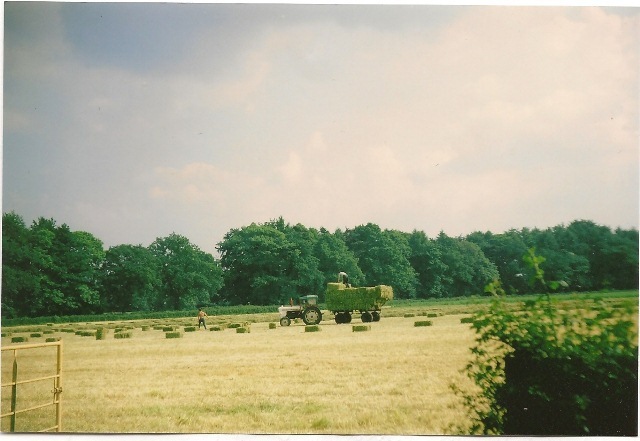 We are always to hear memories from anyone who’s lived locally! No matter how trivial they seem to you, we want to record them – especially with the way the village heart is changing. Please come & share your recollections. Let’s hope the sun is shining! The day dawned bright on the Saturday morning of the Memorial Service. We had done everything we could to advertise the event. We had put notices up in all of the village communal places – Spencers Wood, Three Mile Cross and Swallowfield Post offices; Spencers Wood and Swallowfield Village Hall and lastly St Michaels & All Angels Church. 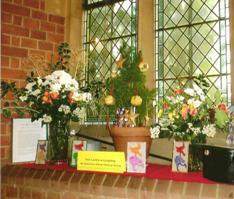 We had put an article in Loddon Reach (twice!). We had also written to the Reading Chronicle and they had published an article about the Memorial Service. Where some of us were still in contact with ex-teachers and pupils from Ryeish Green School, we had used word of mouth to publicise the service … but nonetheless we were still anxious – Was that enough? Would anyone actually turn up? Would we be faced with an empty Church? We should not have worried. Over fifty of Ryeish Green’s ex-teachers and pupils arrived in the sparkling sunshine. 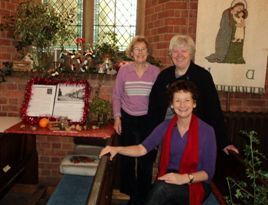 They welcomed each other warmly and the service began with the Reverend Beatrice Pearson leading. She commenced with talking of Memories , and we sang “All things Bright and Beautiful”. Jeannie Brice from our Spencers Wood Local History Group then read out a poem called “God’s Lent Child”. The feedback was so warm that we have taken the liberty of reproducing it here, in full. For you to love the while he lives and mourn for when he’s dead. You’ll always have his memories as a solace in your grief. And from the folk that crowd Life’s lane I have chosen you. I fancy that I heard them say “Dear God, thy will be done. 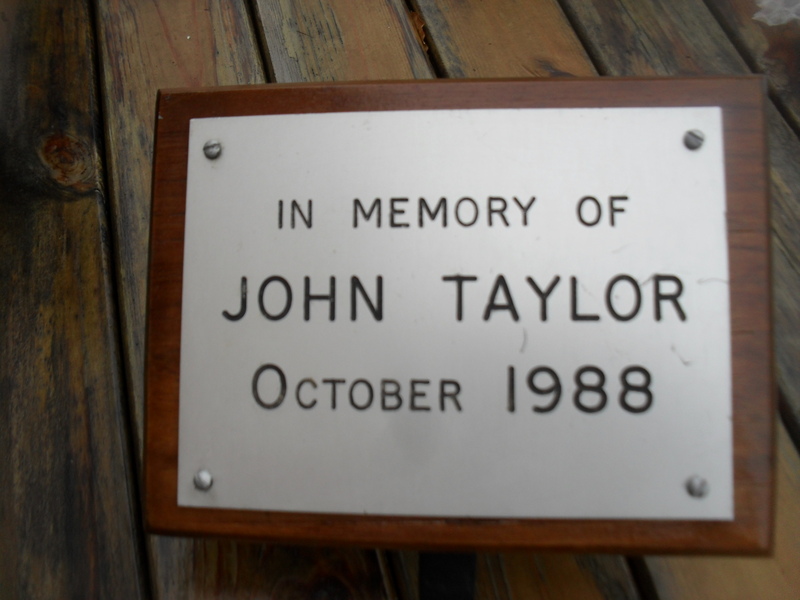 Gail Tildesley, John Taylor, Lorraine Denton, William Mearns, Simon Coster and Robert Jones. 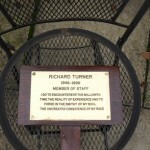 We also remembered the teachers Richard Turner and Maureen Galloway. 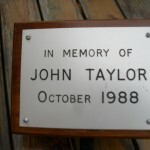 All of them will have memorials in the churchyard. Beatrice then completed the service with an Address and the Lord’s Prayer, before we sang “Give me oil in my lamp”, and we all left the church for her to bless the actual plaques, and a plant of remembrance was placed. Our group would like extend their gratitude, although many people have supported making the service possible, in particular to Lesley Somerville, David Maloney, Anne Luckhurst, John Veale, the ex-pupils who came, those from the resource centre, and of course the Reverend Beatrice Pearson. 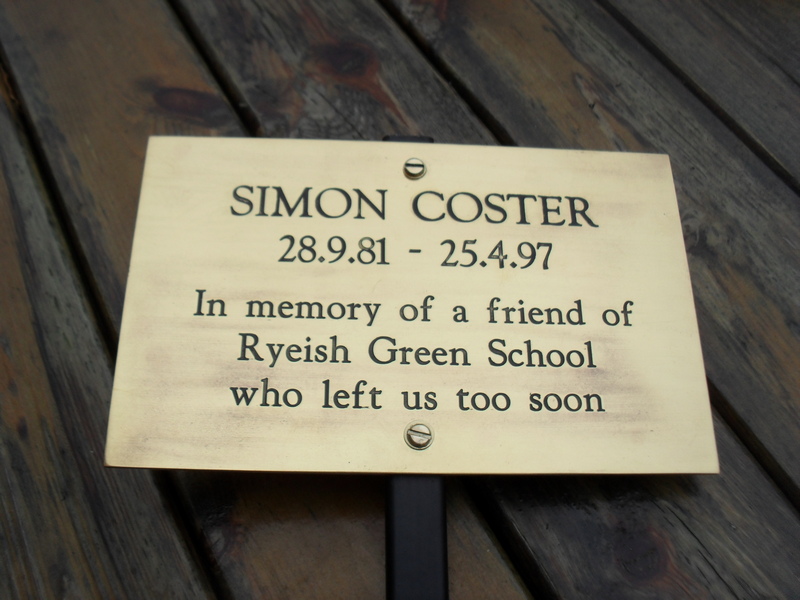 A Memorial Service will be held at St.Michaels & All Angels Church, along the Basingstoke Road in Spencers Wood, for the children and teachers that died whilst they attended Ryeish Green School. 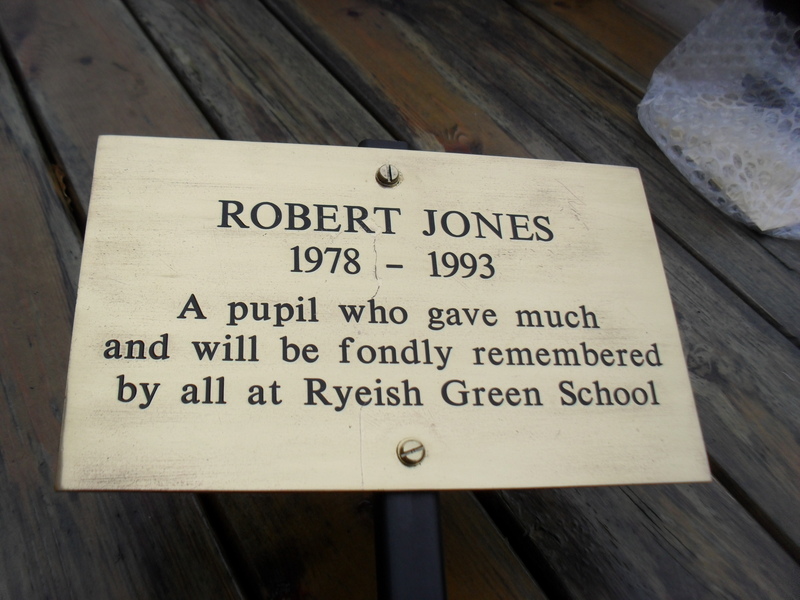 When the History group were researching the Ryeish Green book we recovered a number of plaques from the school grounds. 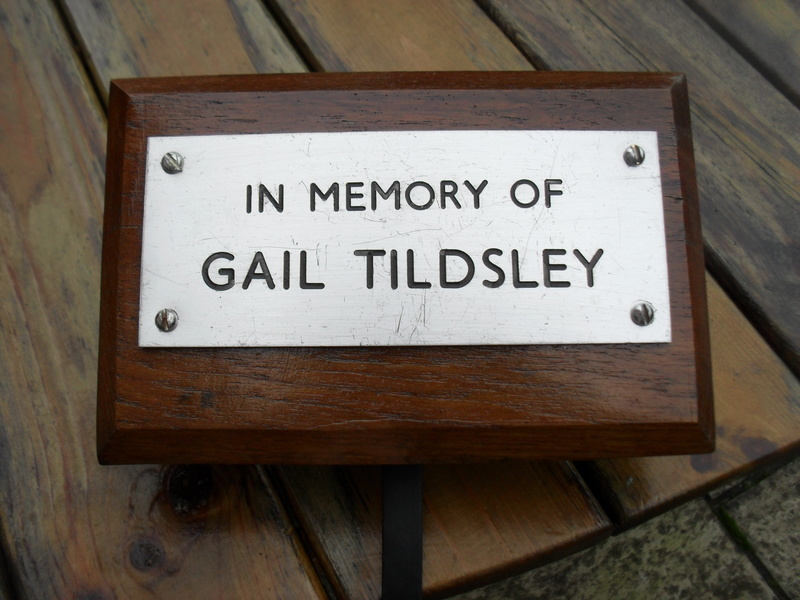 Although the School had tried to contact the relatives of the children or teachers commemorated, they had sadly not been able to contact them, and the plaques were set to go into a skip! We said we would keep them, without really knowing what we would do with them! They were in a very sorry state. We had them renovated, with the profits from the sale of the books, and tried to figure out where they could naturally be re-sited. After two years of sitting in one of the members houses, we finally got agreement, from all the powers that needed to agree, and the Rev’d Beatrice Pearson will be holding a short service to re-site them at the local Church. 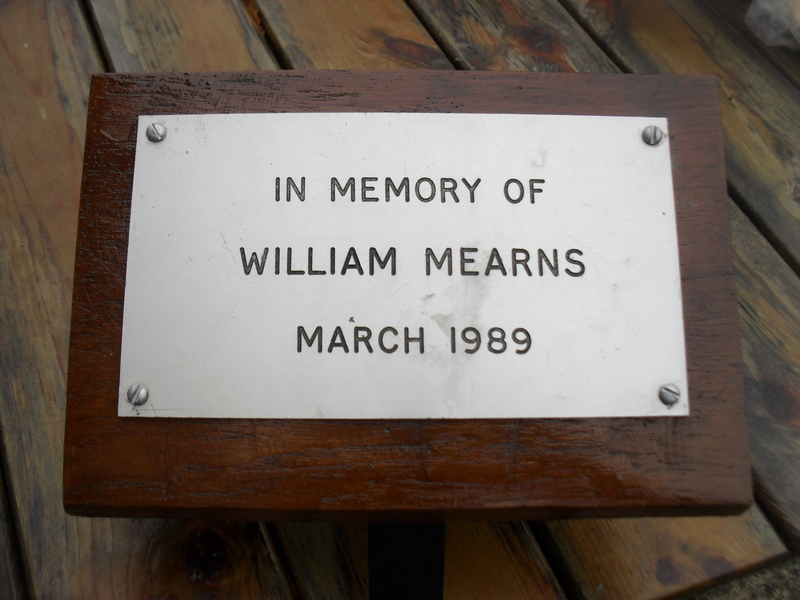 The children that will be remembered are Simon Coster (1981-1997); Robert Jones (1978-1993); William Mearns (died 1989); John Taylor (died 1988), and Gail Tildesley, for which there is a plaque and a fountain which has been converted into a bird bath. Lorraine Denton (d 1979) plaque was returned to her parents on closure of the school. 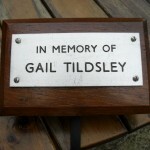 There are also two ex-teachers that will be remembered Richard Turner and Maureen Galloway. 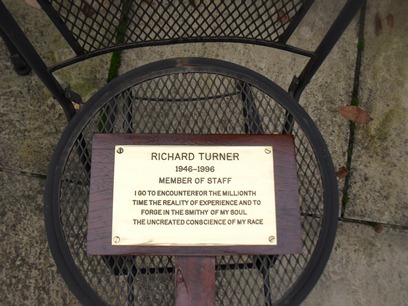 Richard Turner was an English Teacher, and his inscription bears a quote from A Portrait of the Artist as a Young Man by James Joyce – “I go to encouter for the millionth time the reality of experience and to forge in the smithy of my soul the uncreated conscience of my race”. 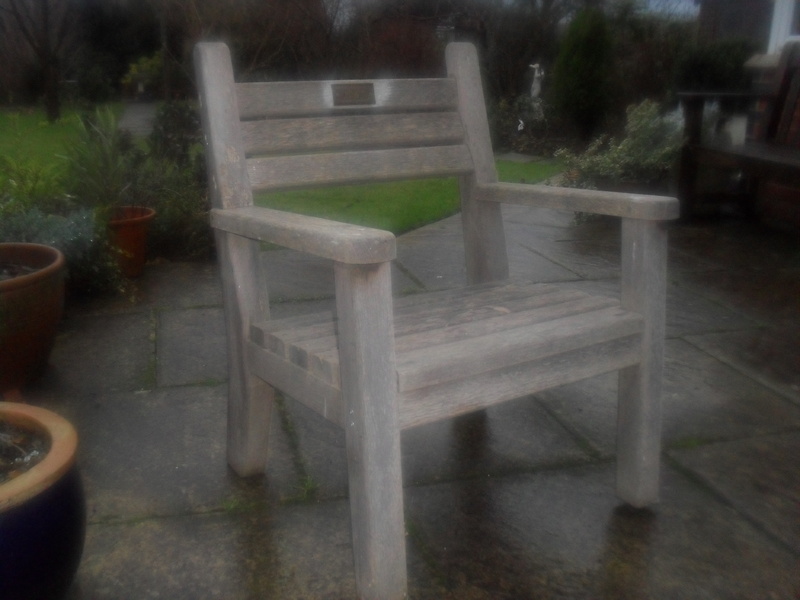 Maureen Galloway was also a teacher at the school, and has a chair that her pupils built for her, and her husband has lovingly restored. The service will take place at 11.30am on 15th September (rearranged from 8th as originally published in Loddon Reach). All are most welcome. Please pass on this message to anyone else that you think might be interested in remembering these individuals. 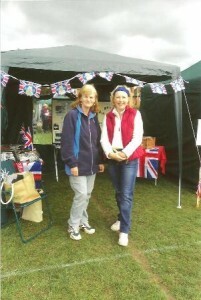 Jubilee Bash – A “Diamond” Day was had by all! 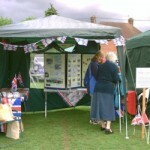 On Monday 4th June 2012, Spencers Wood Local History Group collaborated with Shinfield History Group to put on a display at the Jubilee Bash on Spencers Wood Recreation Ground. The display’s purpose was to show how the area we live in has changed over the period of the Queen’s Reign. The information displayed was on each decade starting at the 1950’s right through to the present day. Each decade took a newsworthy event or topic – whether it was the opening of a motorway (the M4 in 1971); a celebration e.g. the 300th birthday of a school, Shinfield Infant and Nursery School; or the 100th birthday of Lambs Lane School in Spencers Wood; or the opening of a new facility, the Health Centre in Shinfield; or the closing of another, Ryeish Green School in 2010. 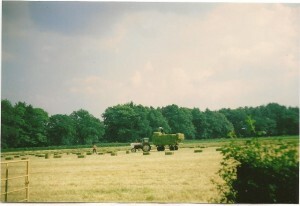 The only criteria used was that each event had to be specific and important to the people of the Parish. 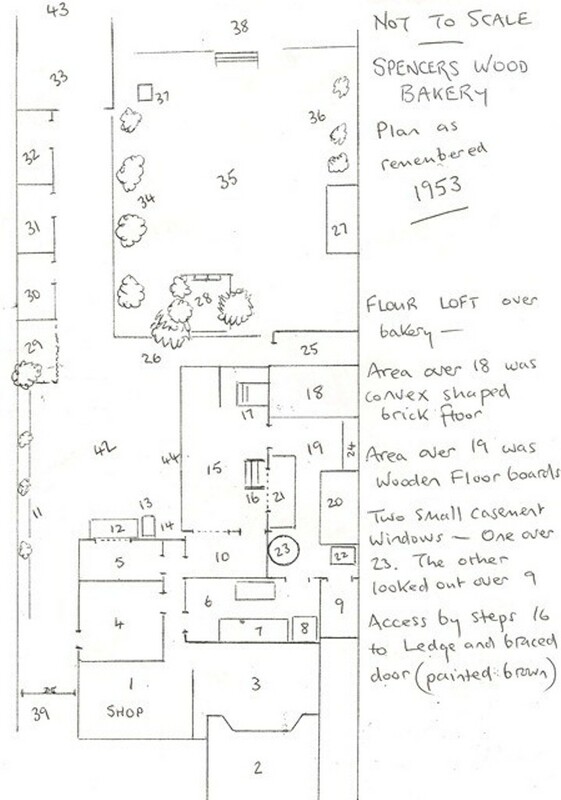 Additional informaton focused on maps of Shinfield and Spencers Wood and the changes in the development of the areas. 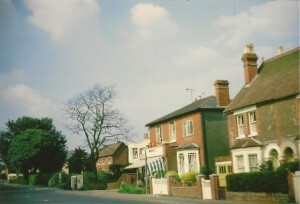 There has been much building, with many new roads and houses being seen in both areas. 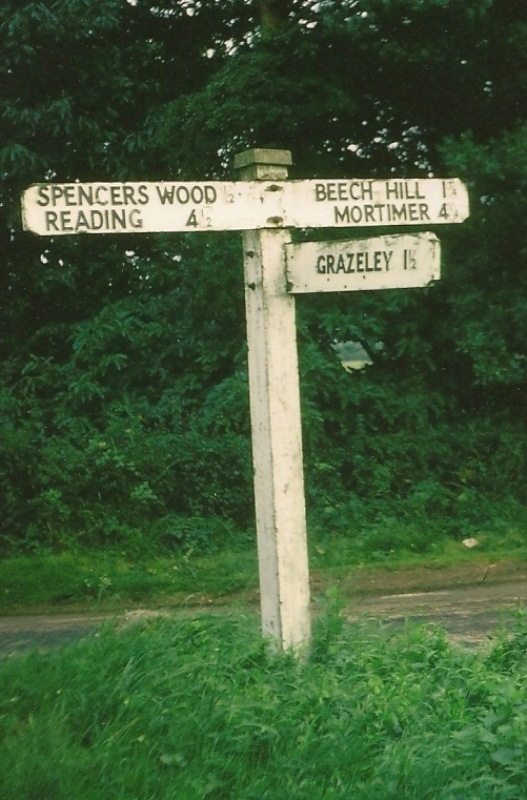 Shinfield’s map included two aerial views and sited areas like Wychelm, Fairmead, Oatlands Roads being developed from the 1960’s; School Green area being built up and Chobham House being built; the M4 during the early 1970’s, and the NIRD closing in 1985 amongst others things. Spencers Wood’s focused on specific roads, for example Apple Tree Lane (1963); Askew Drive (1971) and the Swallowfield Bypass in 1981. Certainly we are also seeing a lot of development in this decade. There was a summary of what activities the history groups undertake. The final piece of information was of the royal family tree from the Queeen’s father, George VI and mother Queen Elizabeth and all their descendants. 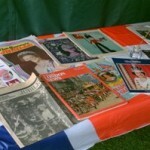 There was lots of piece of memorabilia from the lifetime of the Queen – magazines , silver spoons and mugs. We also now have a “Junior Historians Box” which has all sorts of treasures in it! We will be showing the display and taking this box with us to the Lambs Lane Summer Fete on 30th June, so if you are interested in seeing it, please come along! The Bash itself included bands – the Reading Scottish Pipe Band and others; Dog Shows; Classic Cars; Dancing Competitions; Food Stalls etc.